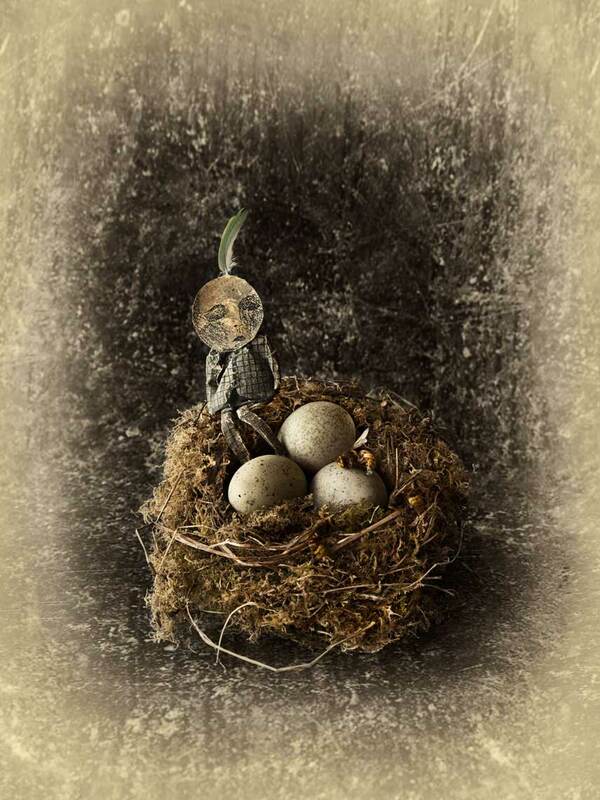 The Little Chap, a figure made from an illustration sits on the edge of a birds nest. He guards three eggs whilst wasps crawl over them. The Little Chap appears in a few of the Cabinet of Curiosity portfolio by Paul Biddle.